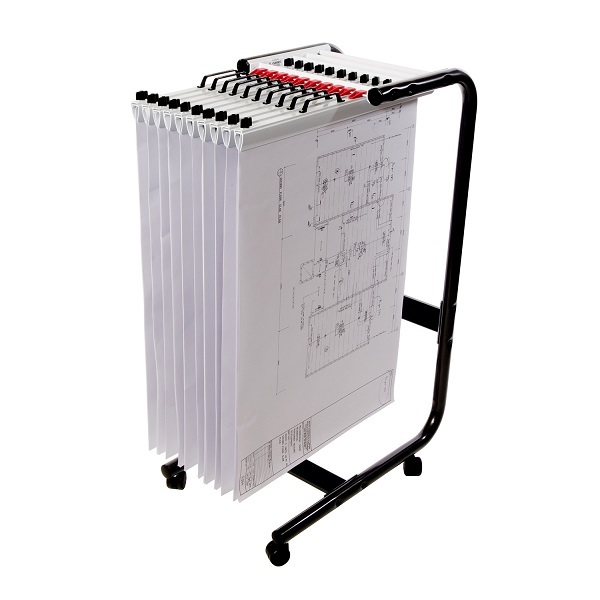 Mobile Plan Trolleys allow you to hang multiple clamps in order to store and transport drawings, plans, blueprints and paper with ease. All our mobile stands are front loading which makes retrieving or storing a plan clamp very easy. Planhorse® trolleys are fitted with four durable wheels and can take up to 250 kg with 20 fully loaded plan clamps. The hanger stand is powder coated in a durable black paint finish with the module which hold the clamps finished in white. 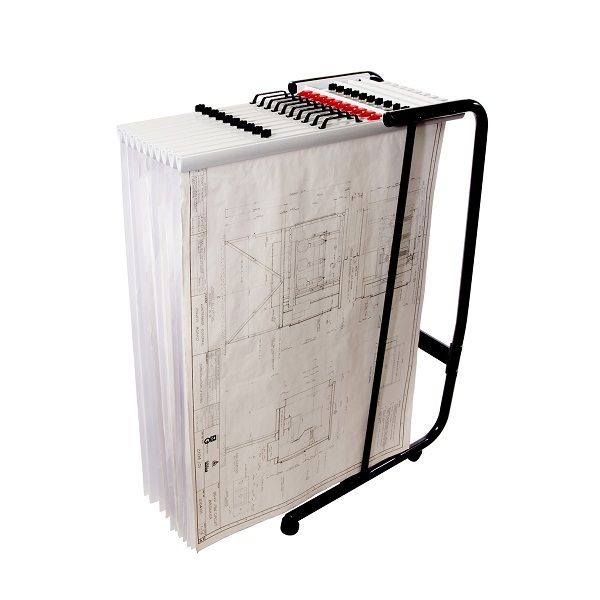 The Planhorse A1 1000 Trolley occupies a very small space whilst storing up to 1,000 drawings, plans or large sheets. Sheets can be instantly accessed and easily filed together in a clamp which hangs on the trolley. This trolley may take up to 10 x A1 or A2 Planhorse clamps, which enables filing of up to 1,000 sheets. Trolleys are supplied without clamps, flat packed and ready to assemble. Assembly instructions and all hardware/parts are included. 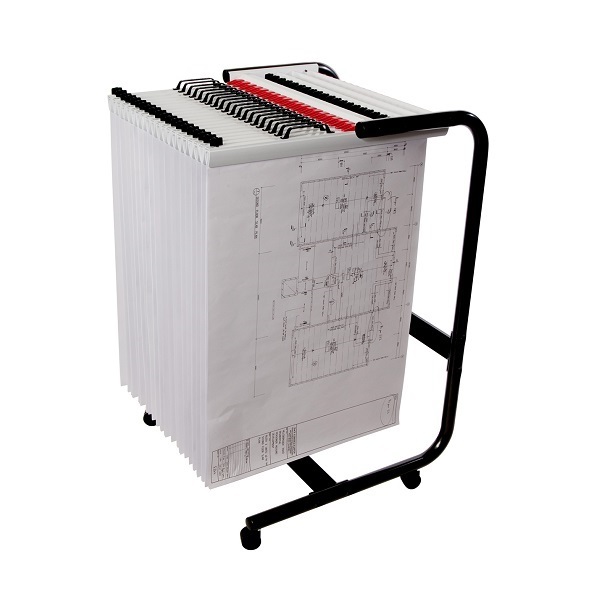 The Planhorse A0/B1 1000 Trolley occupies a very small space whilst storing up to 1,000 drawings, plans or large sheets. This trolley may take up to 10 x A0 and/or B1 Planhorse clamps, which enables filing of up to 1,000 sheets. The Planhorse A1 2000 Trolley occupies a very small space whilst storing up to 2,000 drawings, plans or large sheets. This trolley may take up to 20 x A1 or A2 Planhorse clamps, which enables filing of up to 2,000 sheets. 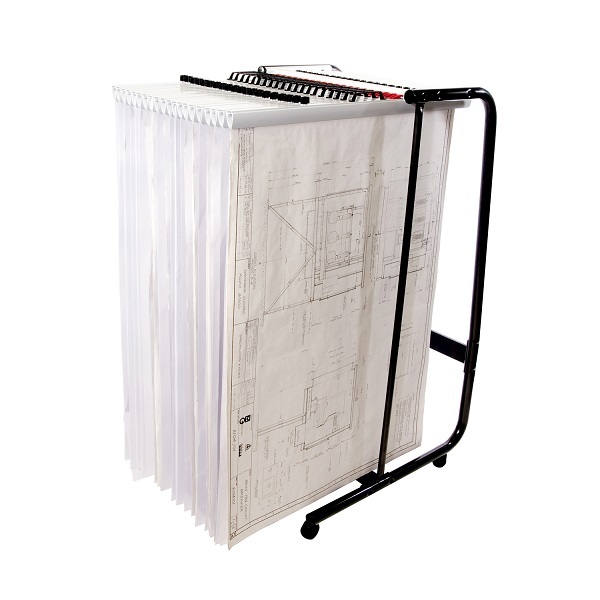 The Planhorse A0/B1 2000 Trolley occupies a very small space whilst storing up to 2,000 drawings, plans or large sheets. This trolley may take up to 20 x A0 and/or B1 Planhorse clamps, which enables filing of up to 2,000 sheets.